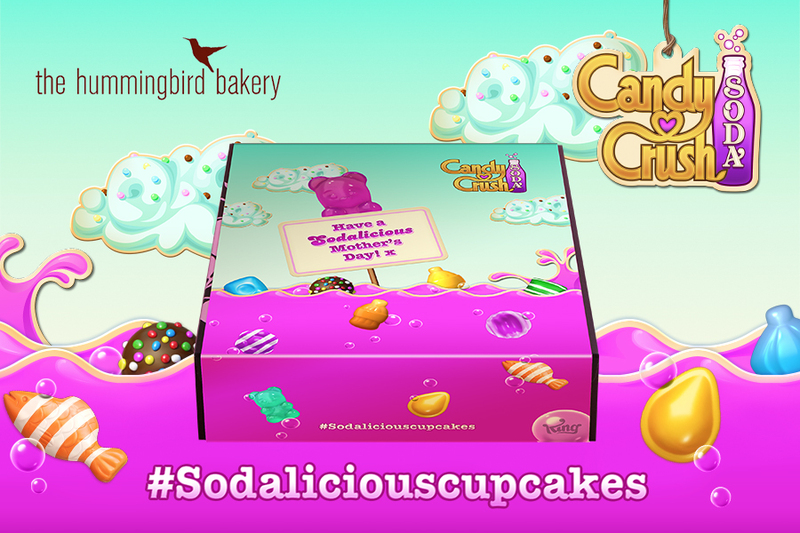 King Digital Entertainment plc, a leading interactive entertainment company for the mobile world and creator of the sweetest game in town, Candy Crush Soda Saga, has teamed up with the delectable London based Hummingbird Bakery to give fans of the game the chance to treat their mums to something Sodalicious this Mother’s Day. To celebrate and say 'thank you’ to all the wonderful mums out there, King and The Hummingbird Bakery are giving away free mouth-wateringly tasty Candy Crush Soda Saga themed cupcakes to players across London this Friday, 13th March. The free giveaway will be taking place at Hummingbird Bakery’s Soho and Spitalsfields branches starting from 12PM, and finishing at 4PM. All you have to do is show staff at the store that you’ve downloaded Candy Crush Soda Saga on your mobile device (available for free on iOS and Google Android) and you’re eligible for one exclusive free cupcake, while stocks last. There will be a limited number of free cupcakes on the day at each store, so arrive early to avoid disappointment! !